Because we all like a little bit of fun, I created an automatic Product Pitch Generator for network vendors. More accurately, a conversation about buzzwords occurred in the context of Networking Field Day 17 where it was jokingly suggested that we needed to take some of the amazing words we were hearing and make a generator. Here’s the best part (if you look at it this way); we ended up with two generators! Hit Refresh to get a new Pitch! 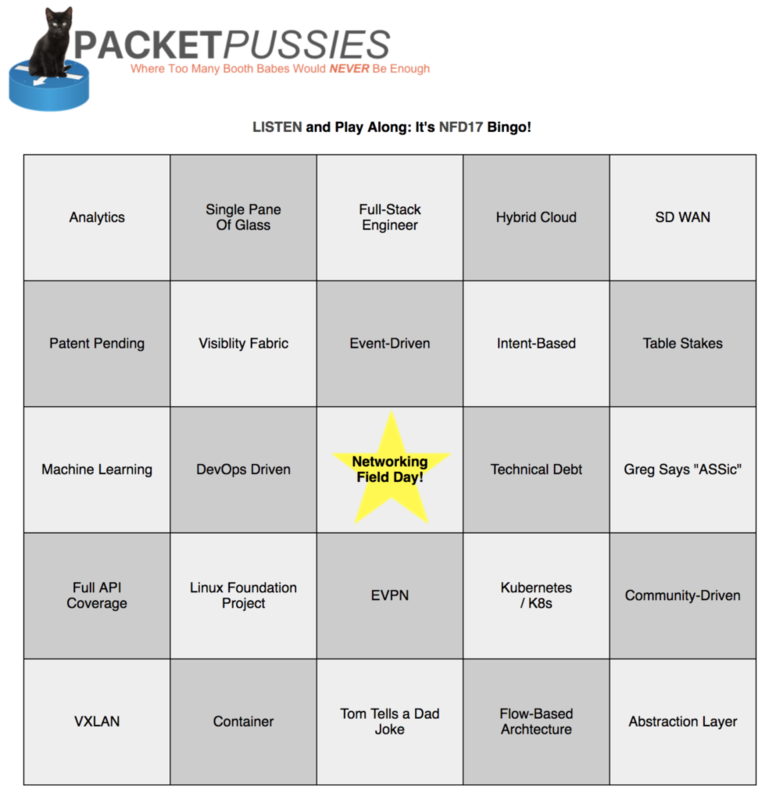 And finally, if you’re watching the NFD17 livestream, why not ML-wash yourself and play NFD17 Buzzword Bingo (now, sadly, mothballed)?